Composting is a win-win enterprise: You cut down on waste and also help keep your garden healthy and growing. 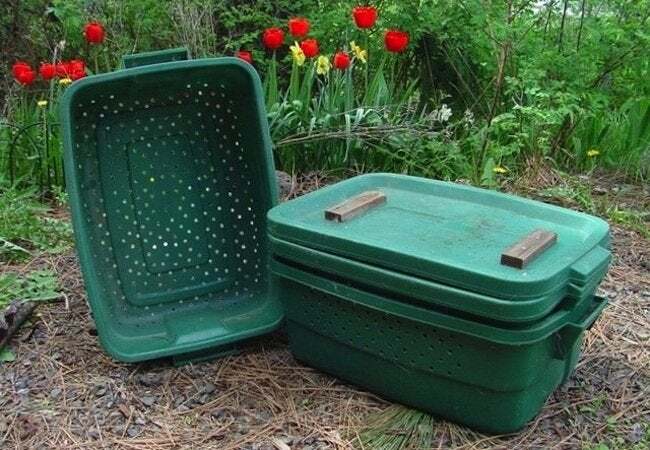 Set up one of these easy, do-it-yourself compost bins, and in time you'll have nutrient-rich, home-grown compost. Compost: It’s what eventually becomes of all decomposing organic material. Essentially, it’s dirt—but it’s not just any dirt. No, this stuff is super rich in the nutrients that are beneficial to plant growth. Gardeners like to call it “black gold.” And while some people pay good money for cubic yards of such high-quality soil, others choose to make it themselves. They do so by composting kitchen waste and yard debris like grass clippings, dead leaves, and small twigs. You, too, can make your own compost. In fact, if there’s an out-of-the-way spot on your property, you could simply heap compostables into a big, messy pile. But in more compact backyards, homeowners often rely on a compost bin, either store-bought or homemade. 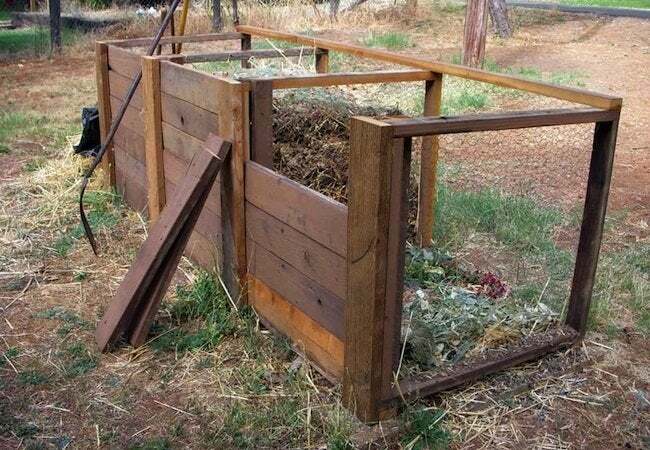 If you’d rather not spend money on a premade product—or if you’re looking for a good reason to get outdoors this spring and summer—you can complete a DIY compost bin in a matter of hours, using only a few materials that are easy to find. 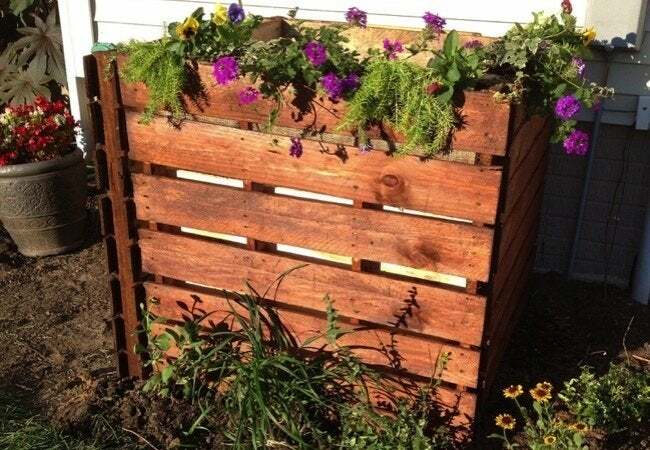 Built of recycled deck boards and simple chicken wire, this DIY compost bin features three compartments to accommodate compost at different stages of decomposition. The chicken wire allows air to circulate among the piles, and the slatted front provides easy access for inspection or removal of compost. 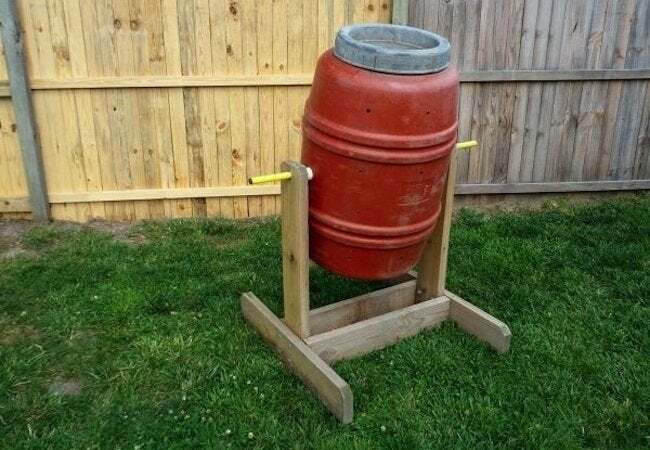 A DIY compost tumbler offers one great advantage over other designs. Can you guess what that is? You’re right: The tumbler makes easy work of turning the pile. (If you’ve composted before, you know how that can become a chore.) The project pictured centers on a rain barrel that’s been ingeniously repurposed for the task. Are raccoons and other critters likely to cause problems? Not to worry. 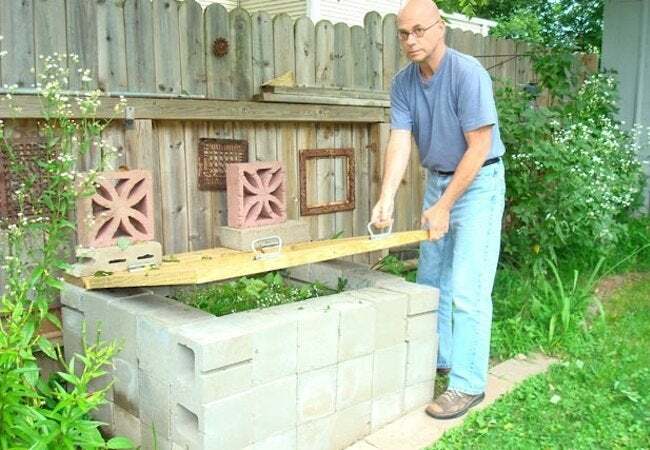 You can build a fortress-like DIY compost bin with square cinder blocks. It’s a flexible system: If you need a bigger bin, simply add on a row of blocks; if there’s too little air, change the orientation of a few blocks so their hollow centers face out. Plywood shipping pallets lend themselves very well to the construction of a DIY compost bin. Here, one side of the bin has been outfitted with hinges to provide easy access. Burlap planter pockets added along the top perimeter help the bin blend into the surrounding garden. Composting takes time. To speed up the process, consider hosting a worm bin in your backyard. You can DIY one cheaply and easily with a plastic recycling container. What the worms produce inside is politely called “castings”—you might think it’s pretty gross, but your plants are going to love, love, love it.